The sheet is cut to required size depending on the design to be made. Sketch is drawn on to the sheet metal using a maker. 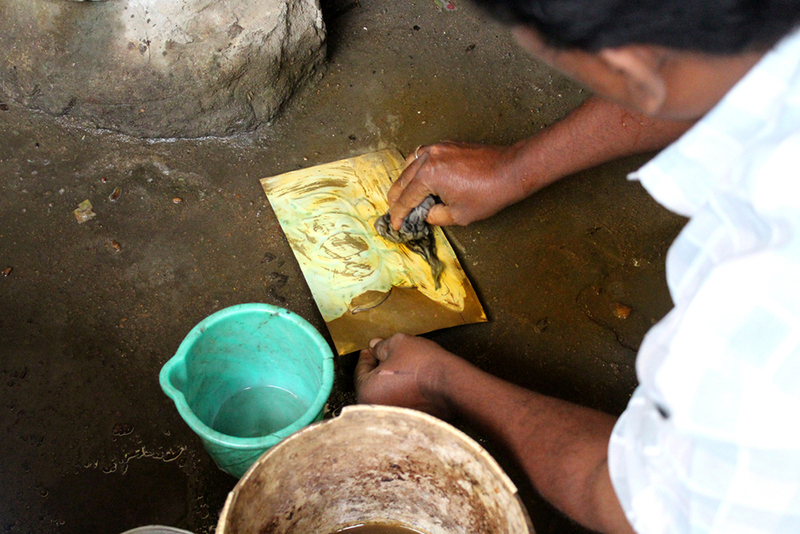 The artist starts forming the design on the sheet using various types of chisels. 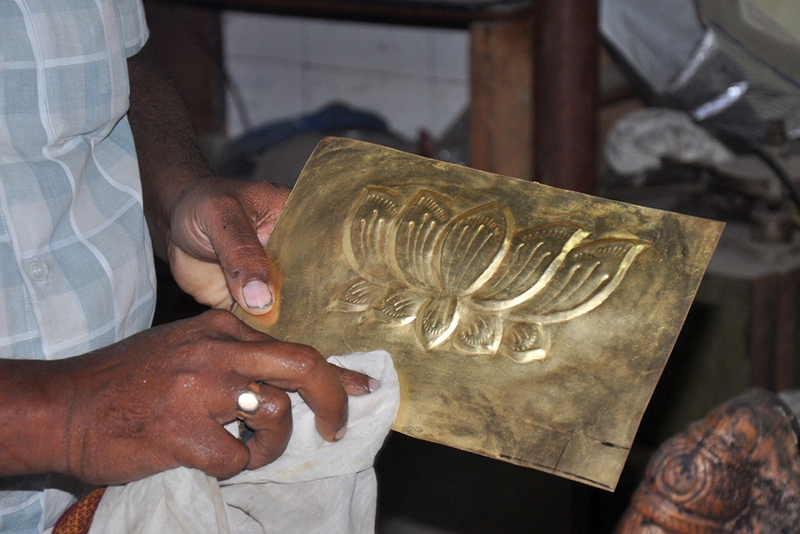 Initially one takes a flat chisel and starts punching on the lines marked and create an impression. 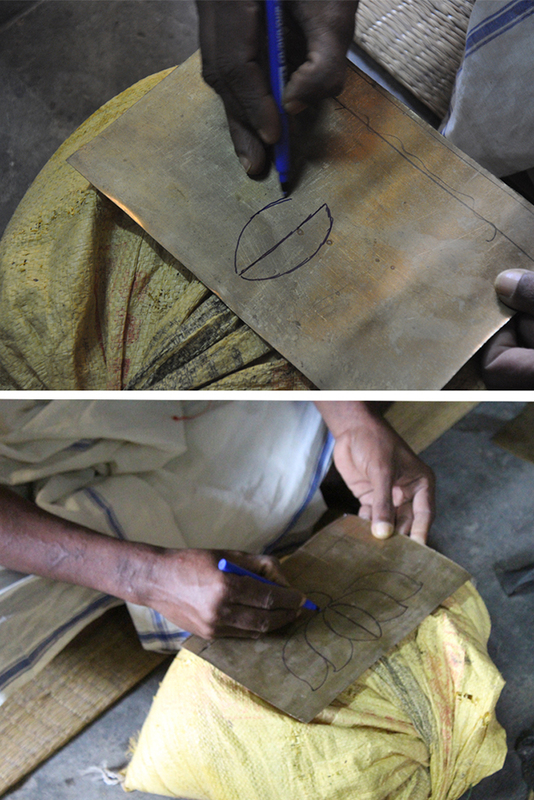 After that, the small details within the design is marked and punched using a flat chisel. 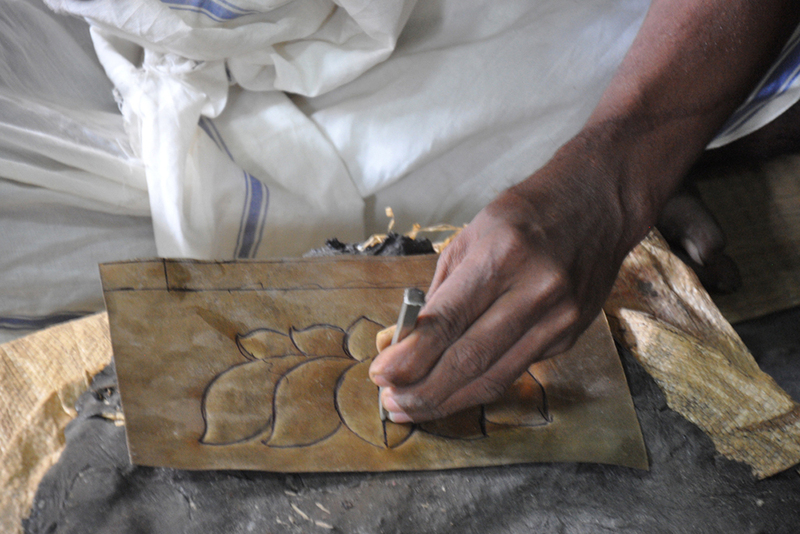 Now another flat chisel is used to punch adjacently leaving a small gap to the initial line drawn during the sketching process, which produces the embossing effect. After the above process, one uses a flat wide square punch to flatten out the sheet, which gets slightly distorted during the above process. Every time the above process is repeated to make sure the sheet metal remains flat throughout the manufacturing process. 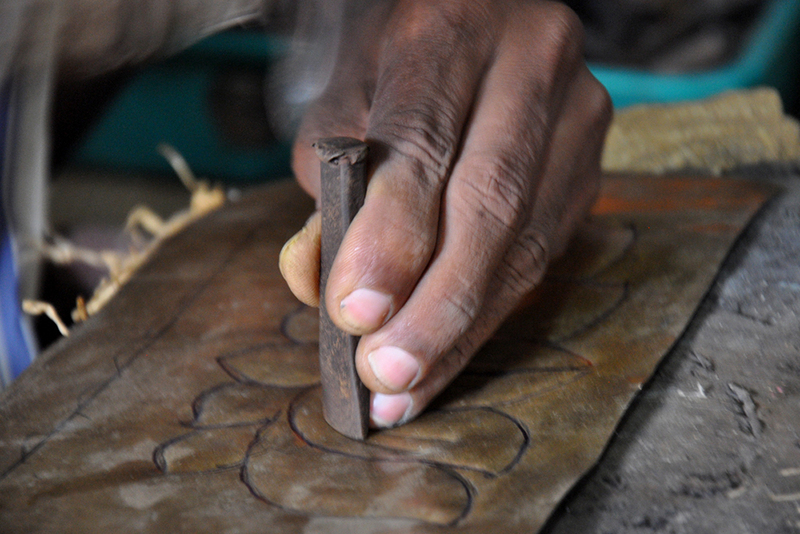 Detailing required in the designs are done during the final stage. Once the required design is achieved the sheet metal is taken for cleaning and polishing. 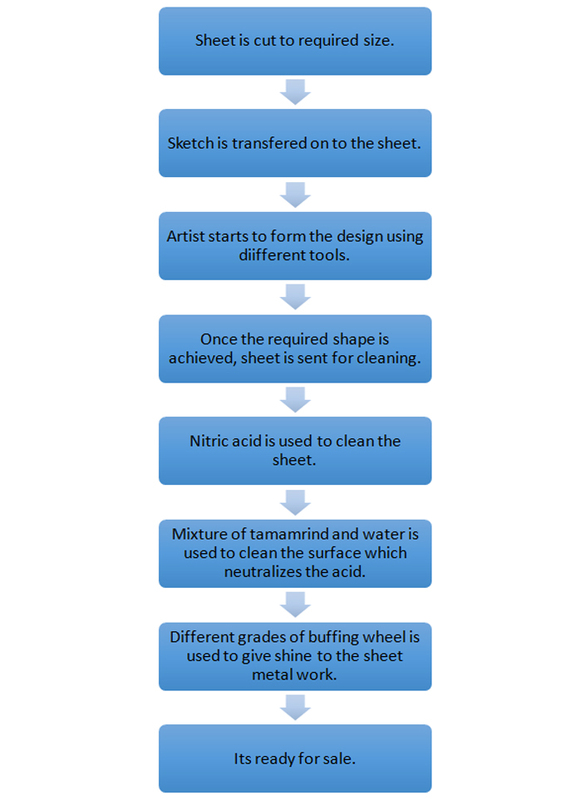 Nitric acid is used to clean the sheet metal to remove the dirt and stains off them. 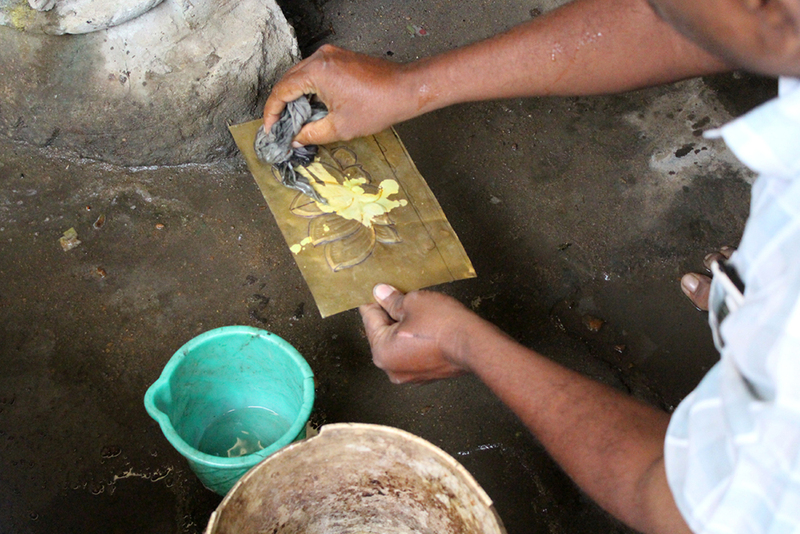 Later a mixture of water and tamarind is used to clean the surface, which neutralizes the acid effect as well as give a natural shine. Various grades of buffing wheel are used to give more shine to the sheet metal work. Once polishing is done, it’s ready for sale.